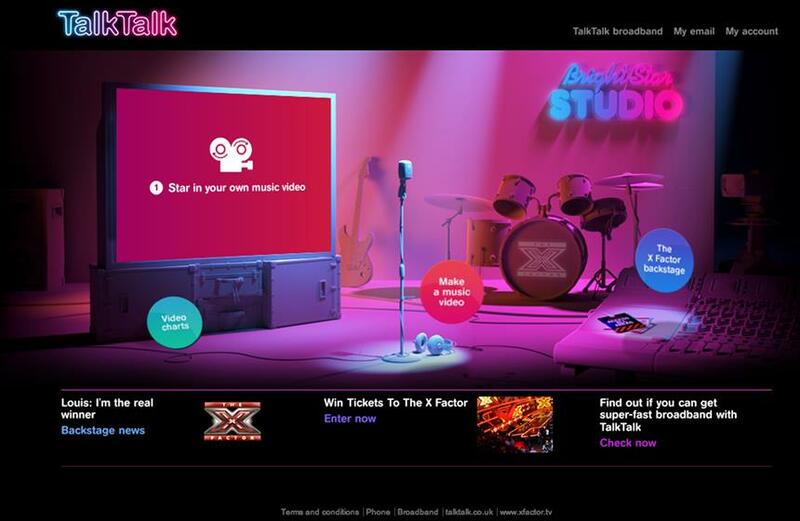 TalkTalk is leveraging its sponsorship of The X Factor by launching an augmented-reality campaign that will give fans the opportunity to appear in the ad breaks. The broadband supplier will throw open the doors to the show's fans around the world, giving them the chance to become a pop star through a campaign created by CHI & Partners. 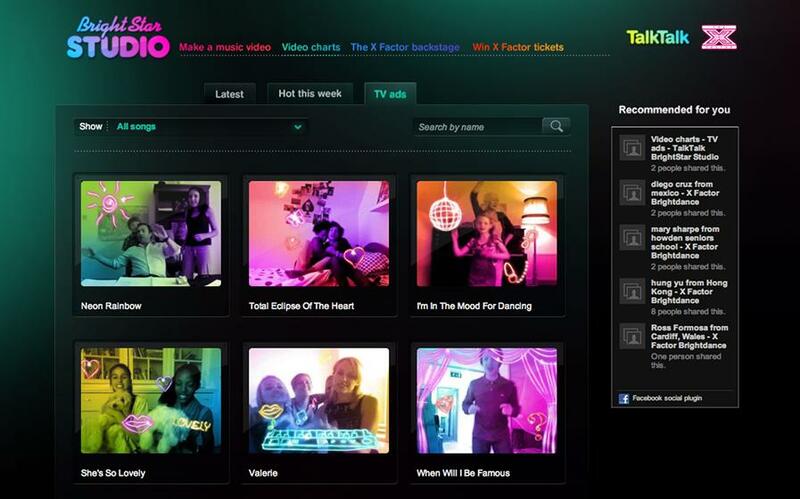 TalkTalk will offer fans the opportunity to create their own music video that could be seen in the programme’s ad breaks. 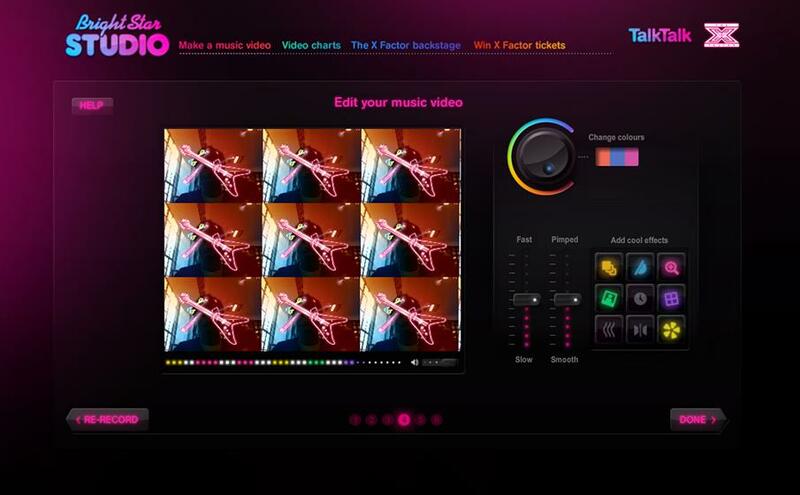 Using TalkTalk’s new online Bright Star Studio, fans will be able to use their home computers, webcam and microphones to sing, dance or play along to their favourite track. Fans will be directed to the online studio that will utilise motion tracking and an interactive augmented-reality technology, which enable users to brighten up their video. They can then further edit and personalise their video by adding fun, professional-style music video effects. It can then be shared with friends via email, Facebook, Twitter, YouTube and as video ringtones. Every performance will appear in The BrightStar video chart where members of the public can "like" the video using social media. The most popular videos will climb the charts and, each week, a new video will be selected and featured during 'The X Factor' ad breaks. Users will also be able to get exclusive backstage news and gossip, as well as the chance for TalkTalk customers to see the show live each week with money-can’t-buy VIP tickets.